Finally, we got to play with the 350QX from Horizon Hobby. There’s been plenty of reviews of this little guy, but aside from the usual “flies great” statements in hobby magazines, we wanted to find out how this RTF quadcopter compares against the ilk of a Phantom, Crius, or even a KK2.x. Curious? Read on after the break. 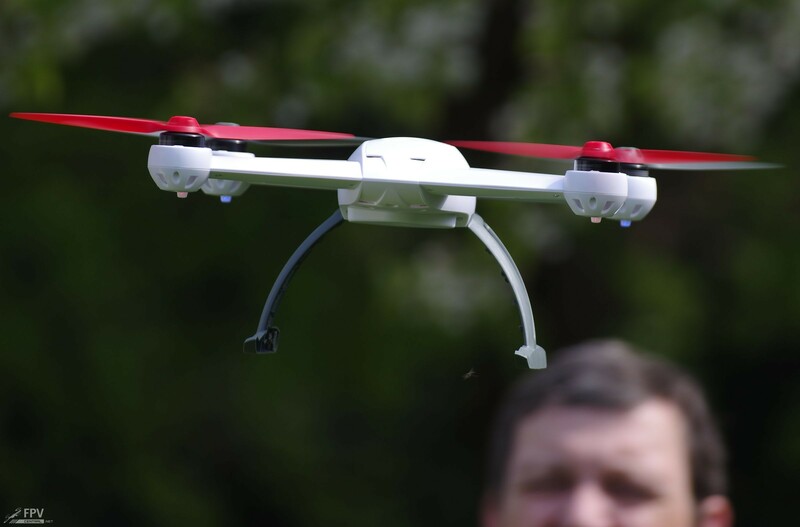 It was certainly tough to go into a market that was already being dominated by the DJI Phantom. Being one of the first usable RTF Quadcopters with GPS hold and return home functions, the Phantom emphasized stability over agility and aerobatics. And despite severe shortcomings like the short range of the built-in radio control system, as well as several firmware issues like the dreaded “fly away” (for which there is simply no valid excuse), the Phantom in its various iterations (v1, v2) continues to sell like hot cake. Here comes Horizon Hobby. We first saw the 350QX being demonstrated at the Air Meet 2013 in Donauwoerth, Germany. 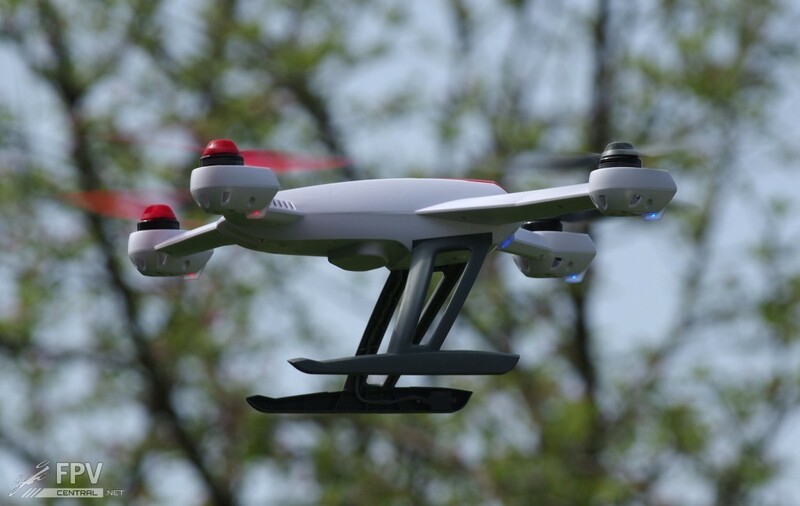 Back then, the reactions were a bit mixed: A new quadcopter, back then being sold in a price range similar to the Phantom, who would buy this if you can get an “original DJI” for just alittle more? The 350QX is definitely more than Phantom clone. Horizon Hobbies went for rock solid flight stabilization paired with agility and plenty of excess power. Wherever possible, the designers sought to reduce weight. Much like the Phantom, the 350QX has the digital compass sensor mounted down inside the landing skid, bringing it as far away from all the high-current wires as possible to reduce interference by the ESCs. But logical design choices aside, these two are very different animals. 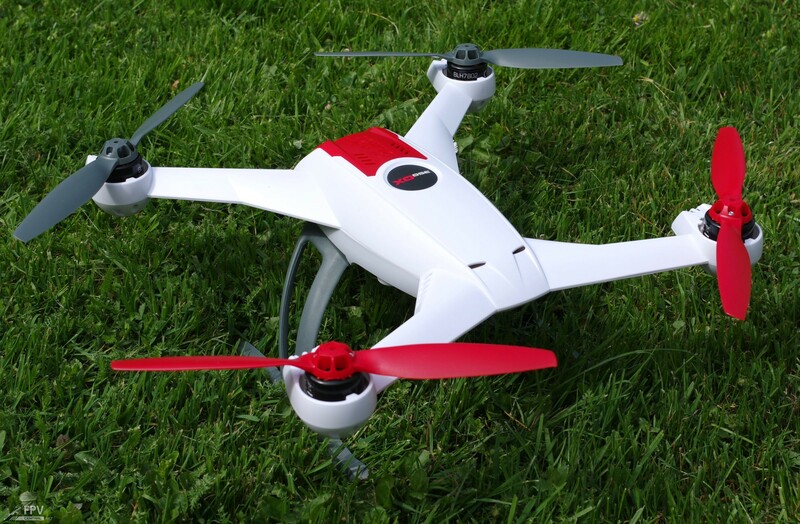 Horizon Hobby chose sharp angles and a sleek design that matches the stable but aggressive flight characteristics. 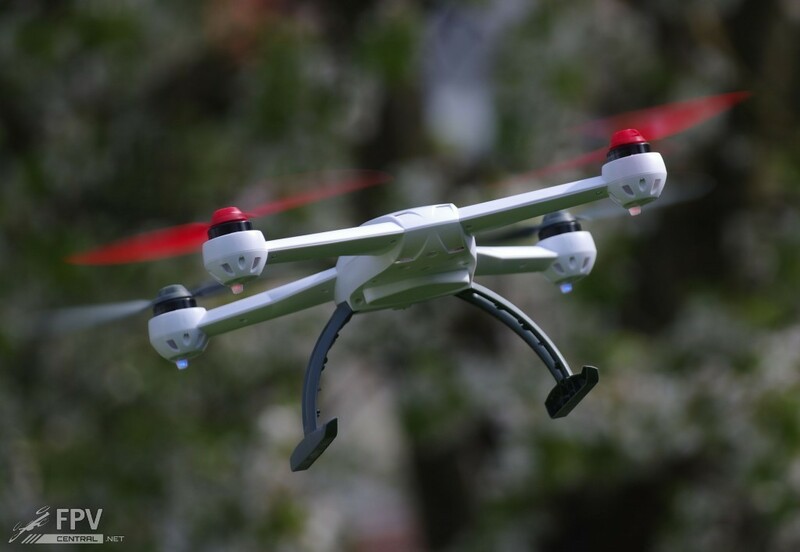 Like most closed-shell body quadcopters, the 350QX is restricted to a certain maximum battery size, and thus, flight time. A 3S 2200mAh LiPo provides enough power for about 10 minutes of flight, more if you are willing to empty the cells below 3.6 volts and you don’t fly agressively. Mounting a gopro, or worse a gopro + gimbal, greatly reduces this time however. The relatively small props make for awesome agility, but are not terribly power efficient under weight. The RC system uses a 22ms DSMX Spektrum receiver integrated onto the main board, so unlike the Phantom you can’t just connect a different receiver there. The outer shell comes in two parts, replacements can be bought for about 50 bucks. The plastic is quite strong but will of course ultimately break on a crash. It is however quite easy to repair with two-component epoxy glue. This quad was designed to carry a GoPro with either an included vibration-dampened mount, or by attaching a gimbal. As stated before, this does affect flight times considerably though. We loved the external power switch. It’s so nice to be able to safely connect the battery and close the hatch at pretty much any time, instead of having to do that just shortly before flying. 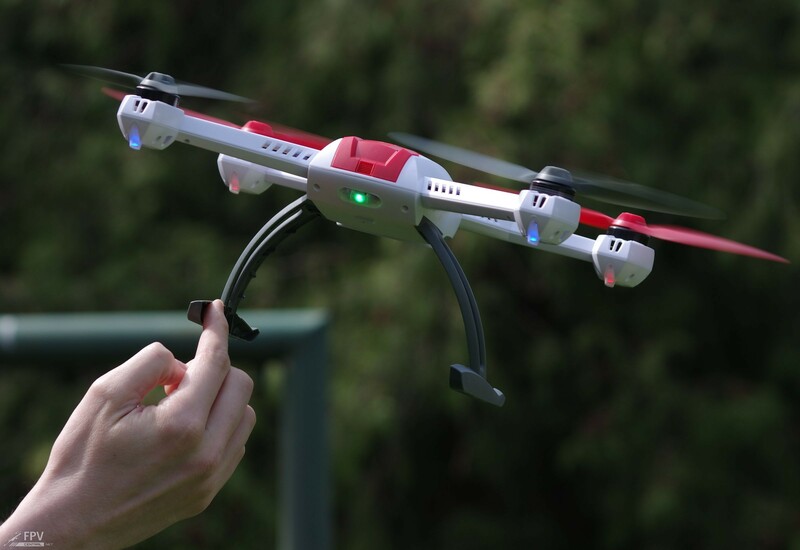 The 350QX V1 software does not feature a huge amount of different modes: You can choose between manual flight, autoleveling, and a so-called “smart mode” which effectively enables GPS position hold and compass mode at the same time. Compass mode, or “headless” as it’s sometimes called, basically means that regardless of the current copter orientation, pushing the stick forward will always make the copter move away from you, and pulling the stick towards you will make it move towards you. In software version 1 is is not possible to separately enable GPS position hold without compass mode. An extra channel triggers the return to land function. In our tests it worked flawlessly, thought the quad sometimes landed several meters from the start position. In Software version 2.0, the 350QX allows you to enable a so-called “AP mode” which uses GPS position hold and a special softer version of autoleveling, intended for filming. In addition, the start procedure now optionally works just like on the DJI Naza (both sticks towards the inner bottom corner). And finally, the 350QX now implements glitch detection for the GPS and compass sensors to discard erroneous sensor values – something that has been available on the Arducopter platform for some time now. Software version 2.0 is available either if you buy the 350QX now, or via a software upgrade. Horizon does charge a fee for the upgrade however. As far as RTF quadcopters go, Horizon Hobbies has to be commended for delivering an incredibly stable flight experience right out of the box. Hover in stability and smart mode is rock solid, even in windy conditions, while at the same time offering amazing control authority. Here’s a statement that will no doubt anger fans of DJI, but: the 350QX is absolutely, undeniably more maneuverable than the Phantom. It moves through the motions with incredible ease, without any tendency to oscillate or swim. GPS Position hold is spot-on. Even the altitude is being held with great precision. This works just as well as the Naza V2 (and thus, the Phantom). And it has to be said, while you may be able to achieve a similar level of stability and precision on a APM board, you’ll have to do a considerable amount of tuning to get there. This costs quite a bit more but does deliver great performance out of the box. With GPS disabled, we’re seeing very smooth performance comparable to the KK 2.x boards. 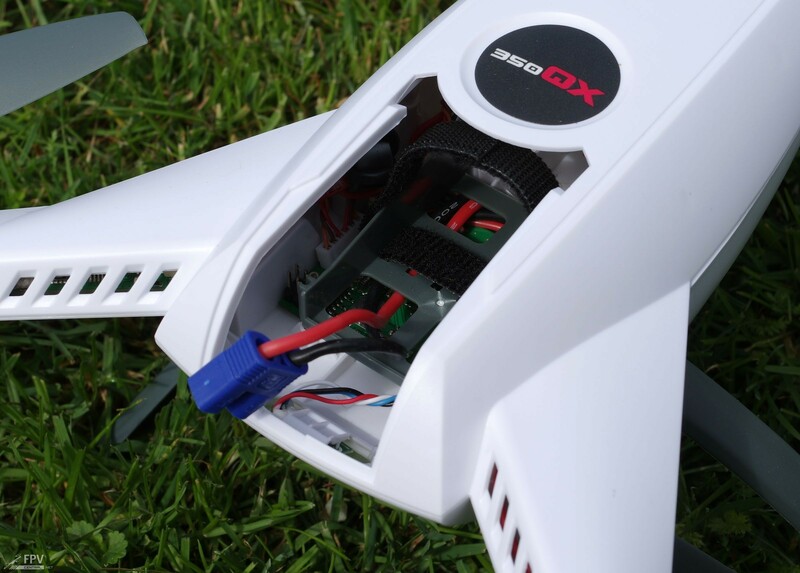 The 350QX lacks some of the flight modes available on the much cheaper KK controller, but again it comes ready to fly out of the box, while you will definitely have to fiddle with some values on the KK to make it fly. It’s not as difficult as with ArduCopter/APM, but does require a bit of learning. The 350QX is a solid competitor to the Naza, offering a lighter, more nimble package that will give you a more fun flying experience, coupled with great GPS performance. Software version 2 is greatly appreciated as not everyone wants to fly around in “Smart mode” when filming. Flight times are good when flying without payload, but are shortened if you attach a camera. 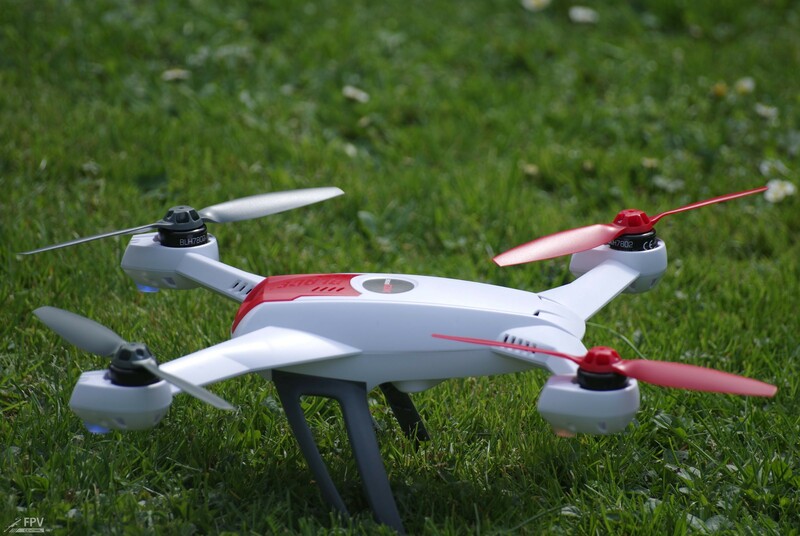 For the beginner, the 350QX is definitely easier to set up and use than a Phantom. There are fewer LED signals to remember, and in general it’s easier to get airborne after unpacking. If you want great GPS performance out of the box as well as a quad that does not need any setup, the 350QX is a good choice. 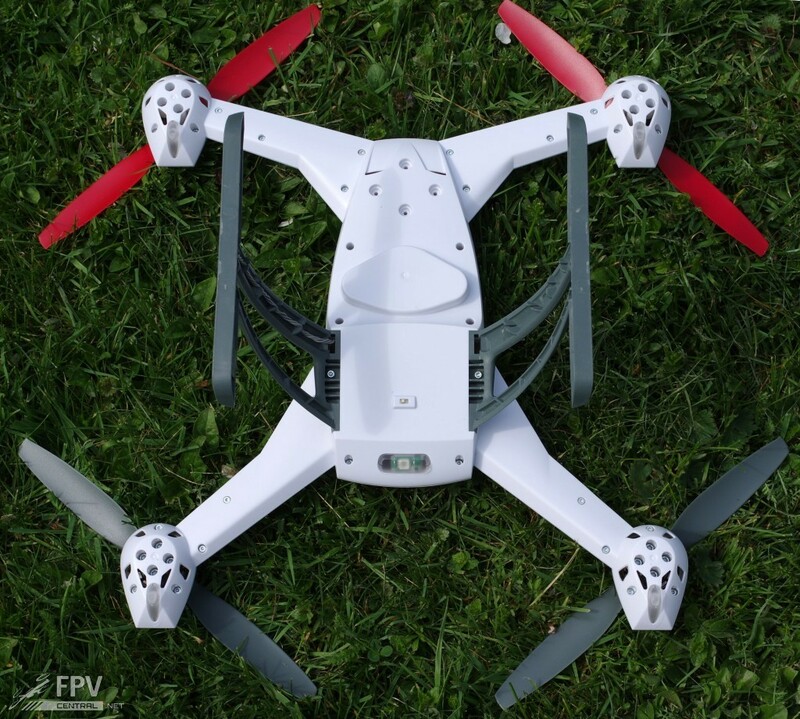 If you don’t need GPS, and you’re willing to do a bit of building yourself, you can still get three $120 Quadcopters for the price of one Blade 350QX. I pre-ordered the 350QX and it was an expensive lesson. I will never buy another Blade again. Ever. (I used to love them. I have several. )After two fly-offs with V1, I upgraded the software and things went downhill from there. It would no longer go into all the modes, and the controls were very mushy for the modes it would do. It just wasn’t flyable. Talking to support they first tried to point to the programming or the transmitter. It was neither. So, they told me to send it in for “repair.” Knowing I would never trust a “repaired” quad with that many problems, I threw it away and chalked it up to very expensive lessons learned. Never trust the reviews you read online, never pre-order anything, and never buy from Horizon again. I went out and bought a Phantom. It flys like a dream. I just got done with putting together a 350QX FPV Body Conversion Kit and I absolutely love it. Fitted with a Boscam TS832 600mw TX. I get a GPS lock with no problems even with that powerful of a TX. Had so much fun flying today FPV, real clear signal. It looks really cool. It’s seriously built for performance with FPV! Not just for look. The key is in the high purity carbon fiber and graphite that blocks and absorbs RF. 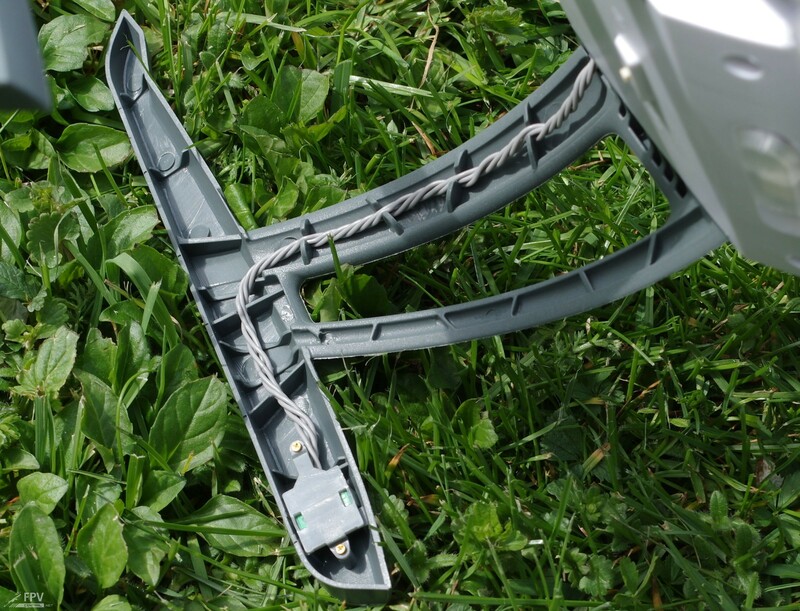 The canopy is built from carbon fiber composite and protects the GPS from interference. I seriously did not lose GPS lock even once with the TS832 on full power.